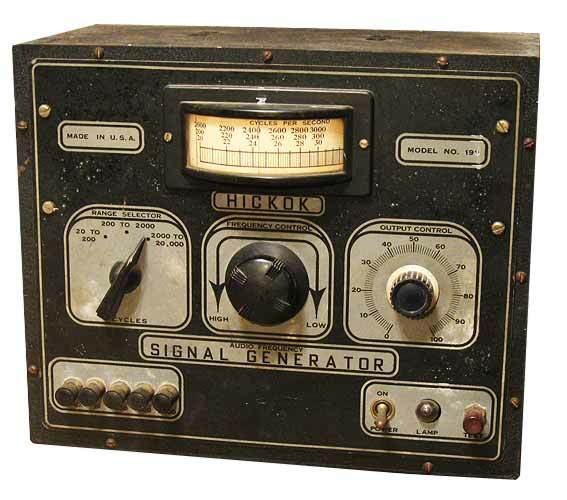 The Hickok 198 is a 1930s audio signal generator with a range from 20Hz to 20KHz and is used as an tool for troubleshooting radio problems. There are several output posts for selecting an appropriate output impedance to match the receiver circuitry under test. Note that the knob on the right for Output Control is not original.